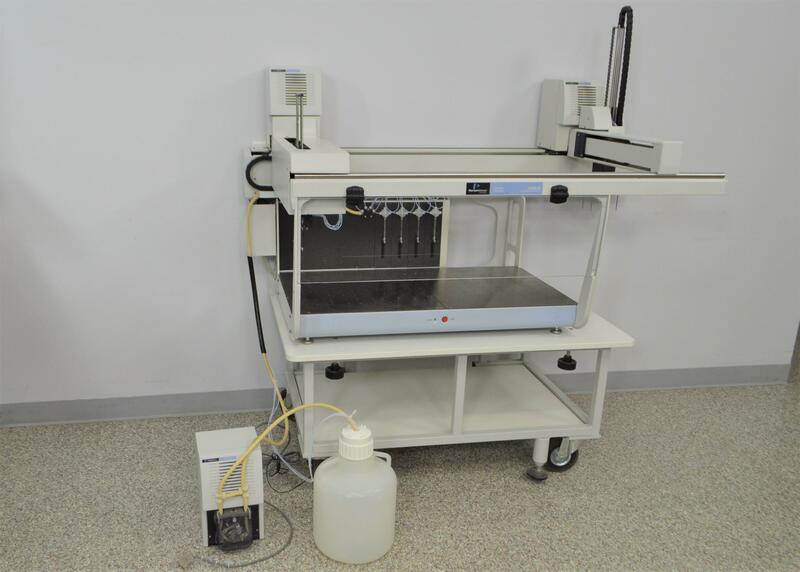 Perkin Elmer JANUS Integrator Varispan Gripper AJI4G01 Automated Workstation . New Life Scientific, Inc.
Our in-house technician inspected and tested this PerkinElmer JANUS Integrator Automated Workstation. Technician tested instrument with WinPrep software and noted the software would not connect to device. Technician noted Gripper arm (x motor) fails initialization. Technician tested Varispan, noting previously that it would fully initialize, but later testing could not confirm this.